Will Graham's message on the last night of the Avalon Celebration of Hope reminded thousands that their works and efforts aren't the way to salvation. Walking into the Mile One Centre Sunday afternoon, you’d blow away if you didn’t have your feet planted. The seaside city of St. John’s is the windiest city in Canada. And Sunday, gusts got as high as 64 mph. With wind whistling outside, Will Graham talked to nearly 2,600 people about what it means to have your feet truly planted—in Christ. “Let me ask you, what makes you a Christian?” Will quizzed the crowd. “Is it because you go to church? Is it because you’re a good person? Will was in town all weekend for the Avalon Celebration of Hope, which wrapped up on Sunday with performances by Jason Crabb and George Canyon. >> See photos from the final night of the Celebration. An event many months in the making, the harvest was great as hundreds streamed forward each night in response to the invitation to accept Christ. Saturday, mostly teens and young adults. Sunday, mostly adults over age 35. 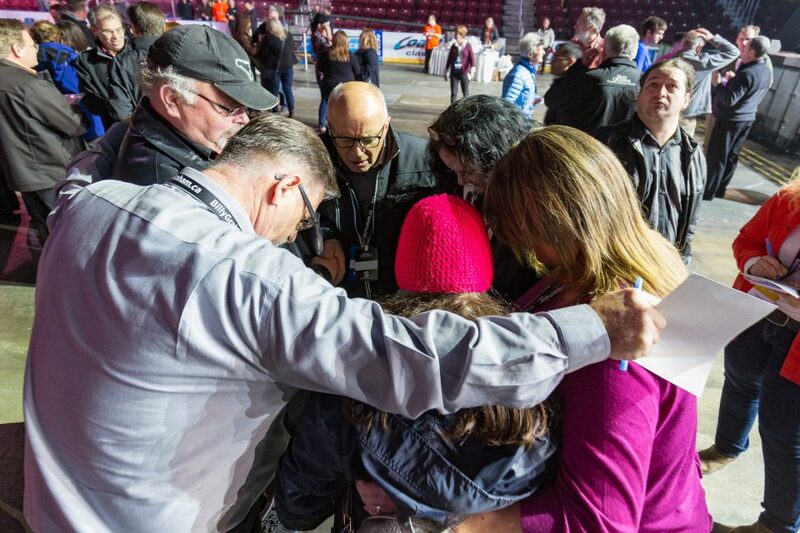 It was as if God had a message to Canada about the power of His Word to transform generations. 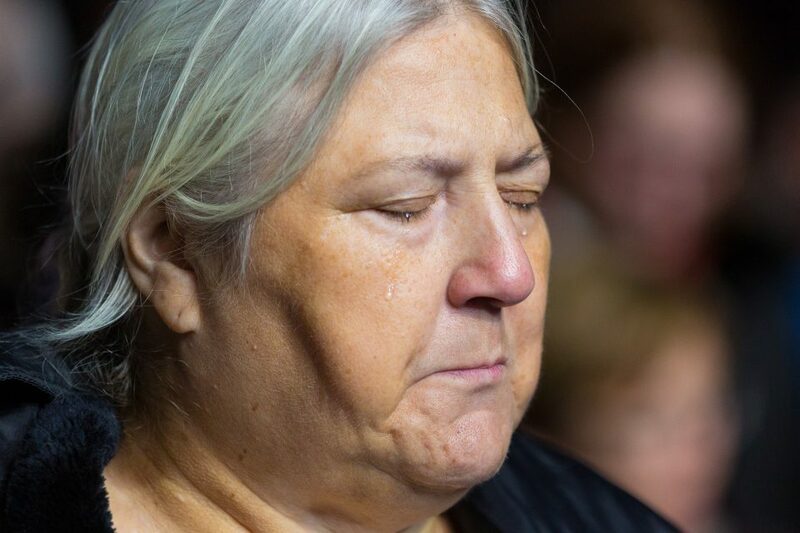 All Celene could do was cry as she stood next to her son, Joel, Sunday night. Will had just given the invitation to accept Christ and asked those who wanted to make a decision to walk forward. 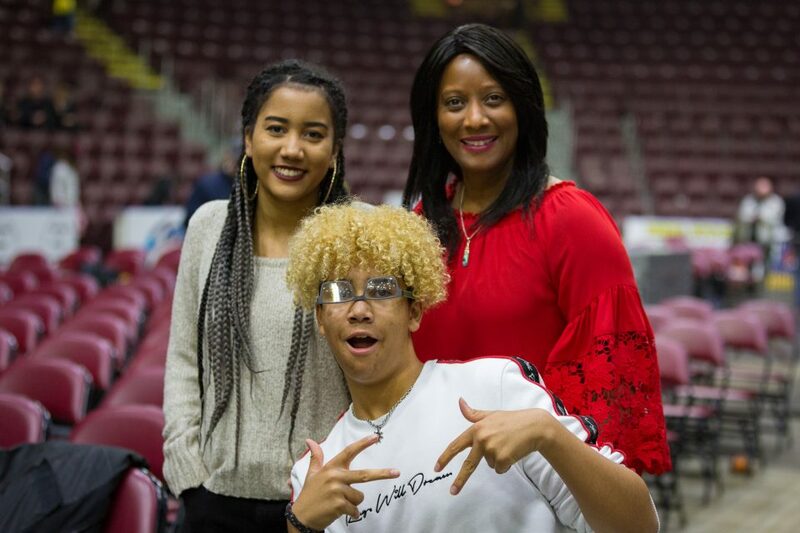 Celene stands with her 19-year-old daughter and Joel, who insists he’ll never take a ‘serious’ photo. “I went down with someone else’s child with my heart breaking, thinking, ‘I wish someone would go up with my child,’” Celene said tearfully. Little did she know, 15-year-old Joel was steps behind her being escorted by prayer volunteer Jimmy Lee Howard. A single mom of two, Celene talked about her fervent prayers for Joel. He was fighting at school, getting bullied and using drugs. She prayed for God to move in Joel’s life, but didn’t want to push him away by insisting again and again that he let Jesus in. “It’s nice to know he made this decision on his own without me coercing him, so I know God has made that change in his life,” she said. 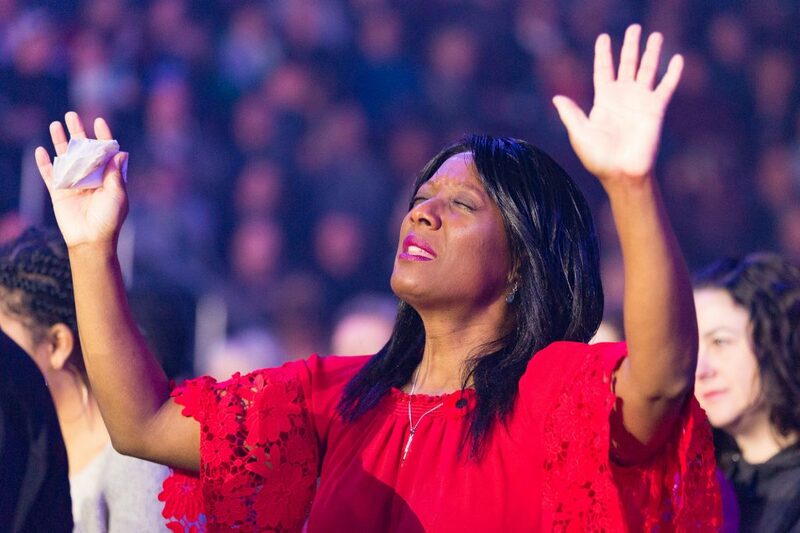 “It’s a fulfillment of prayer that God would save my children. In true teenager fashion, Joel admitted he didn’t listen to all of Will’s message. But something nudged him to walk forward. “You just took a step and God met you,” Will told those who responded to make a decision for Christ. These individuals will now be connected to a local church where they can continue to grow their faith. With the Celebration done, local churches will now begin the real work—helping these new and rededicated believers like Joel stay on the path to eternity with Christ in heaven. Jimmy Lee, the prayer volunteer who walked with Joel, is a popular Gospel artist who lives in Newfoundland and used to sing with Joel’s mother. “I told him, ‘Now is the time to look forward. Don’t look back,’” Jimmy Lee said. “I’ll drive all the way to Bay Roberts if I have to, to minister to him,” he added, referring to the city Joel lives in, about an hour away from St. John’s. Thank you for your prayers for the Avalon Celebration of Hope with Will Graham. Please join us in asking God to continue the work being done to bring revival across this region.